Let us welcome your precious pooch for a holiday of their own, filled with plenty of love and cuddles. When your dog joins us you can rest assured that it's non stop fun. Surrounded by fields and woodland our home is set in an acre of land so has plenty of space for your dog to run, play and is fully secure. ​They will also benefit from daily walks in local woods and countryside meeting plenty of new friends. How ever long or short your trip, your dog will become one of our family, treating them as our own, leaving you worry free to enjoy your break. We can even arrange a visit to the groomers if required during your dogs stay. Prior to boarding, all dogs are welcomed for a trial to ensure they are happy. Book early to avoid disappointment, by filling out our contact form with your requirements. 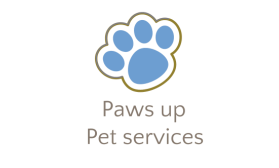 All dogs for Homeboarding must be micro chipped, neutered and up to date with flea and worming treatments and fully vaccinated including Kennel cough.